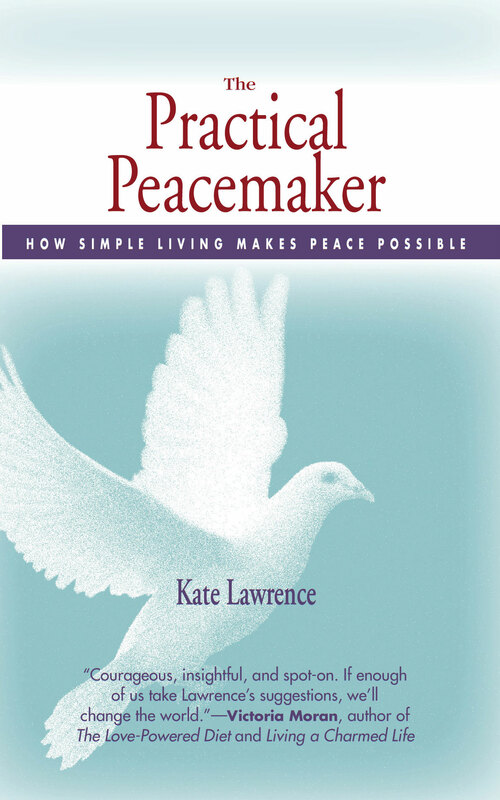 The New Good Life | A Practical Peacemaker Ponders . . . 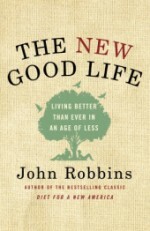 The New Good Life: Living Better Than Ever in an Age of Less, by John Robbins. Ballantine Books, 2010. Robbins attained fame as an author with his book Diet for a New America. Here his scope has widened beyond food to include a number of lower-impact lifestyle practices. He begins by speaking about money management, relating his personal odyssey of growing up wealthy, renouncing it to live very simply, then building up wealth again only to lose it in the Bernie Madoff scandal. Not only did Robbins lose all his savings, but having heavily mortgaged his home, he was in danger of losing it as well. Although loosely organized around suggestions to cut expenses, the book also considers ways to live more healthfully and sustainably as well as more frugally. For example, Robbins doesn’t advocate using coupons to save on grocery bills, noting that the foods coupons will save on are usually heavily processed and not very healthful. He advocates limiting TV watching for kids; that doesn’t save money directly, but helps them resist advertising for unhealthful foods and unneeded toys that would probably cost a family more in the long run. Robbins includes chapters on nutritious vegan foods (with recipes), non-toxic household cleaning supplies, parenting, greener transportation, and more. Although much in this book has been written about elsewhere, Robbins brings a unique perspective, speaks calmly and compassionately, and in addition to giving facts, tells stories which keep the reader’s interest. Previous PostThe Empathic CivilizationNext PostI’m Retired!